Author Matthew Kenny presents a cookbook that shows how artistic and accessible a plant-based cuisine can be. 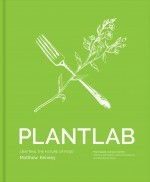 The book, Plantlab, immediately catches the eye with its bold vibrant color photographs and follows through with a treasure trove of recipes that prove Kenny’s point that plant based cuisine can be delicious, as well as visually appealing. If you are vegan or just want a new cooking experience Plantlab is a good place to begin. 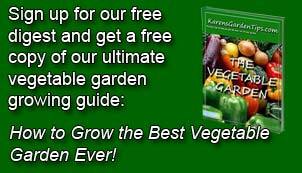 The format of the book may be a bit off-putting as the book begins with full page color photos of landscapes, plants and food. Although the photographs lack captions they enhance the text by providing a new look at some familiar things, like the black shriveled grapes on red stems set against a black background. The photographs that feature food include the page number in the back of the book where the recipe can be found. Odd/ Yes, it is, but the format sets the stage for the culinary adventure that is about to begin. The recipes are arranged in groups based on the level of skill necessary to complete them. In the first section, called Fundamentals, there are recipes for such dishes as avocado toast with kumquat, radish and herbs, English peas complemented by pistachios and radish flowers, and massaged kale salad with coconut-lime dressing, avocado, and chili-lime macadamia nuts. The advanced recipes include procini-crusted whole cauliflower, wine soaked cashew cheese, and truffled beet sliders. If those are not enough to spark your interest, you can try one of the professional recipes that include faro-fennel sausage pizza, shishito peppers preserved in lemon tahini sauce, and oyster mushroom moqueca. The recipes of all a sections of the book come from a variety of ethnic sources which makes them especially interesting. Although some feature exotic ingredients, most can be created from ingredients found in local food stores of various kinds. The recipes consist of a list of ingredients for each part of the total recipe along side a paragraph giving the directions for using them. White pages are used for the fundamental recipes, gray for the advanced ones, and black with white print for the professional ones. Personally, I would like the pictures with the recipes but Kenny’s formatting warns readers from the start that they are about to experience something new and special, and that was Kenny’s goal. To buy Plantlab from Amazon.com Click Here.